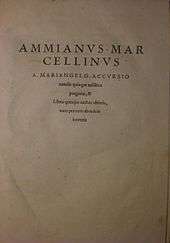 Ammianus Marcellinus (died after 391) was a fourth-century Roman soldier and historian who wrote the penultimate major historical account surviving from Antiquity (preceding Procopius). His work, known as the Res Gestae, chronicled in Latin the history of Rome from the accession of the emperor Nerva in 96 to the death of Valens at the Battle of Adrianople in 378, although only the sections covering the period 353–378 survive. Ammianus was born between 325 and 330 in the Greek-speaking East, possibly in Syria or Phoenicia. His native language was most likely Greek; he learned Latin as a second language, and was probably familiar with Syriac as well. The surviving books of his history cover the years 353 to 378. Ammianus served as a soldier in the army of Constantius II and Julian in Gaul and Persia. He professes to have been "a former soldier and a Greek" (miles quondam et graecus), and his enrollment among the elite protectores domestici (household guards) shows that he was of middle class or higher birth. Consensus is that Ammianus probably came from a curial family, but it is also possible that he was the son of a comes Orientis of the same family name. 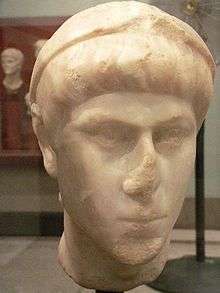 He entered the army at an early age, when Constantius II was emperor of the East, and was sent to serve under Ursicinus, governor of Nisibis in Mesopotamia, and magister militum. He returned with Ursicinus to Italy when Ursicinus was recalled by Constantius to begin an expedition against Claudius Silvanus. Silvanus had been forced by the allegedly false accusations of his enemies into proclaiming himself emperor in Gaul. Ammianus campaigned in the East twice under Ursicinus. 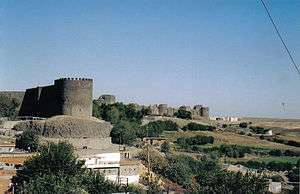 On one occasion he was separated from the officer's entourage and took refuge in Amida during the siege of the city by the Sassanids of shah Shapur II; he reportedly barely escaped with his life. When Ursicinus was dismissed from his military post by Constantinus, Ammianus too seems to have retired from the military; however, reevaluation of his participation in Julian's Persian campaigns has led modern scholarship to suggest that he continued his service but did not for some reason include the period in his history. He accompanied Julian, for whom he expresses enthusiastic admiration, in his campaigns against the Alamanni and the Sassanids. After Julian's death, Ammianus accompanied retreat of the new emperor Jovian as far as Antioch. He was residing in Antioch in 372 when a certain Theodorus was thought to have been identified the successor to the emperor Valens by divination. Speaking as an alleged eyewitness, Marcellinus recounts how Theodorus and several others were made to confess their deceit through the use of torture, and cruelly punished. While living in Rome in the 380s, Ammianus wrote a Latin history of the Roman empire from the accession of Nerva (96) to the death of Valens at the Battle of Adrianople (378), in effect writing a continuation of the history of Tacitus. He presumably completed the work before 391, as at 22.16.12 he praises the Serapeum in Egypt as the glory of the empire; it was in that same year the Emperor granted the temple grounds to a Christian bishop, provoking pagans into barricading themselves in the temple, plundering its contents, and torturing Christians, ultimately destroying the temple. The Res Gestae (Rerum gestarum Libri XXXI) was originally composed of thirty-one books, but the first thirteen have been lost (historian T.D. Barnes argues that the original was actually thirty-six books, which if correct would mean that eighteen books have been lost). The surviving eighteen books cover the period from 353 to 378. As a whole it is extremely valuable, constituting the foundation of modern understanding of the history of the fourth century Roman Empire. It is lauded as a clear, comprehensive, and generally impartial account of events by a contemporary; like many ancient historians, however, Ammianus was in fact not impartial, although he expresses an intention to be so, and had strong moral and religious prejudices. Although criticised as lacking literary merit by his early biographers, he was in fact quite skilled in rhetoric, which significantly has brought the veracity of some of the Res Gestae into question. His work has suffered terribly from manuscript transmission. Aside from the loss of the first thirteen books, the remaining eighteen are in many places corrupt and lacunose. The sole surviving manuscript from which almost every other is derived is a ninth-century Carolingian text, Vatican lat. 1873 (V), produced in Fulda from an insular exemplar. The only independent textual source for Ammianus lies in Fragmenta Marbugensia (M), another ninth-century Frankish codex which was taken apart to provide covers for account-books during the fifteenth century. Only six leaves of M survive; however, before this manuscript was dismantled the Abbot of Hersfeld lent the manuscript to Sigismund Gelenius, who used it in preparing the text of the second Froben edition (G). The dates and relationship of V and M were long disputed until 1936 when R. P. Robinson demonstrated persuasively that V was copied from M. As L.D. Reynolds summarizes, "M is thus a fragment of the archetype; symptoms of an insular pre-archetype are evident." His handling from his earliest printers was little better. The editio princeps was printed in 1474 in Rome by Georg Sachsel and Bartholomaeus Golsch from "the worst of the recentiores", which broke off at the end of Book 26. The next edition (Bologna, 1517) suffered from its editor's "monstrously bad conjectures" upon the poor text of the 1474 edition; the 1474 edition was pirated for the first Froben edition (Basle, 1518). It wasn't until 1533 that the last five books of Ammianus' history were put into print by Silvanus Otmar and edited by Mariangelus Accursius. The first modern edition was produced by C.U. Clark (Berlin, 1910-1913). The first English translations were by Philemon Holland in 1609, and later by C.D. Yonge in 1862. ↑ Ramsay, William (1867). "Ammmianus Marcellinus". In William Smith. Dictionary of Greek and Roman Biography and Mythology. 1. Boston: Little, Brown and Company. pp. 142–144. ↑ Following earlier scholars, Matthews (1989: 8) suggested a hometown of Antioch on the Orontes based on the assumption that Ammianus was the recipient of a letter from a pagan contemporary, Libanius, to a certain Marcellinus; however Formara in 1992 argued that this letter must have referred in fact to a younger man and an orator newly arrived in Rome, rather than Ammianus, who had long been a resident in the City, and Barnes (1998: 57-58) solidified this stance in modern scholarship. However, many scholars remain convinced that Ammianus was a native of Antioch. ↑ Eduard Norden, Antika Kunstprosa (Leipzig 1909), 648. ↑ The Eye of Command, Kimberly Kagan, p. 23. ↑ For example, Warren T. Treadgold (1997). A history of the Byzantine state and society. Stanford University Press. pp. 133–. ISBN 978-0-8047-2630-6. Retrieved 22 August 2010. ↑ The Eye of Command, Kimberly Kagan, p. 22. ↑ E. Stein, Geschichte des spätrömischen Reiches, Vienna 1928. ↑ The Eye of Command, Kimberly Kagan, pp. 27–29. ↑ Kelly, G. (2004). "Ammianus and the Great Tsunami". The Journal of Roman Studies. 94: 141–167. doi:10.2307/4135013. JSTOR 4135013. Note that in the fifth century BC the Greek historian Thucydides had already connected these seismic events in his Peloponnesian War(see Book I, 22). Wolfgang Seyfarth (ed.) Rerum gestarum libri qui supersunt (in 2 vols). Leipzig: Teubner, 1978. Latin text and facing English translation (by J.C. Rolfe) in the Loeb Classical Library, 1935‑1940 with many reprintings. Walter Hamilton (trans.) The Later Roman Empire (AD 354–378). Penguin Classics, 1986. An abridged English translation. This article incorporates text from a publication now in the public domain: Chisholm, Hugh, ed. (1911). "Ammianus, Marcellinus". Encyclopædia Britannica. 1 (11th ed.). Cambridge University Press.